A big thank you to Elmer’s for sponsoring today’s post. As always, all opinions are my own. 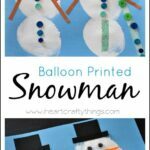 Winter brought us our first snowstorm last week and put us in the mood for a fun winter kids craft. Have you had some snowy weather too? 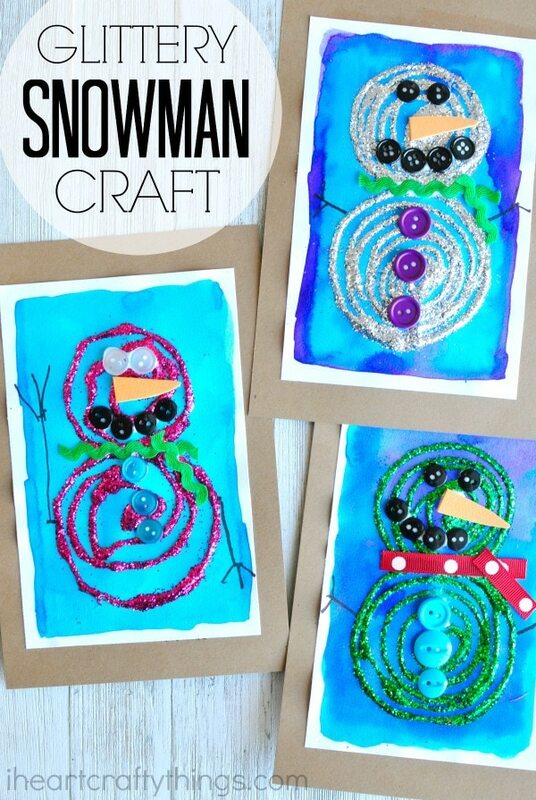 You’re going to love having fun indoors making this swirly glue and glittery snowman craft. It’s bright and gorgeous and perfect for putting on display all winter long. 1. 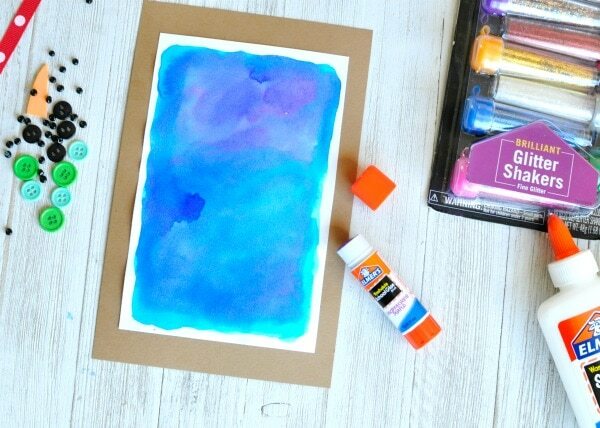 Start by using your watercolors to paint the inside of your watercolor paper in blues and purples. We left an outside rim unpainted to act as a border but you can paint the entire sheet if you want. 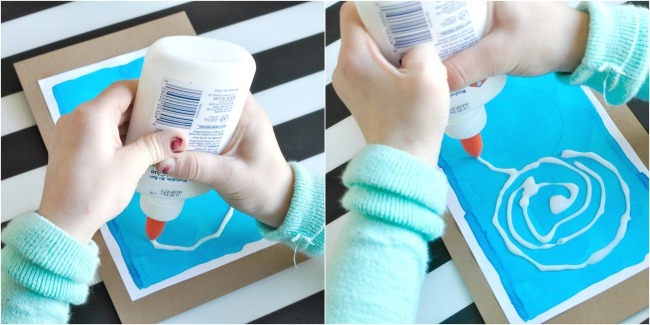 Let the painted paper dry completely. 2. 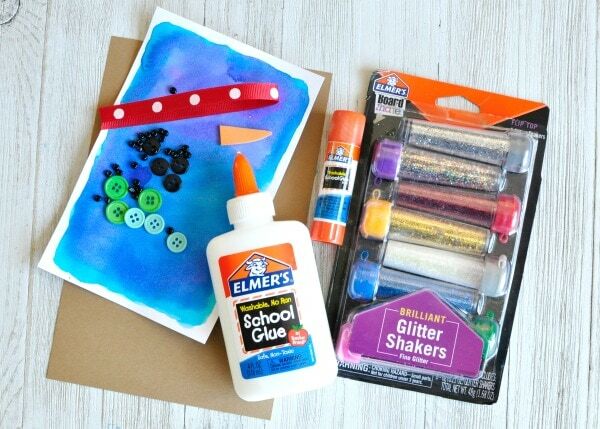 When your painted paper is dry, glue it onto your colored cardstock with your Elmer’s Glue Stick. 3. Place your paper onto a place mat. 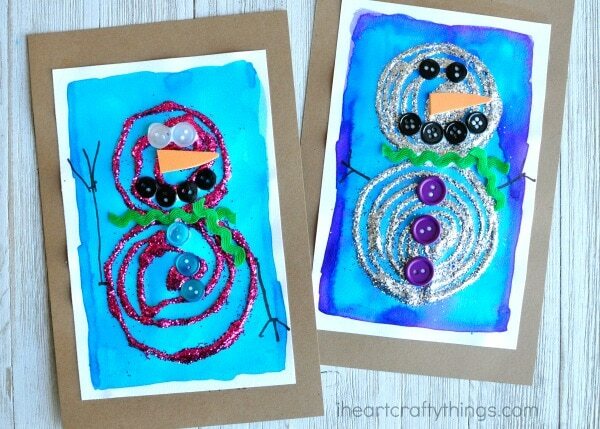 Now it’s time to make your swirly snowman with your Elmer’s School Glue. 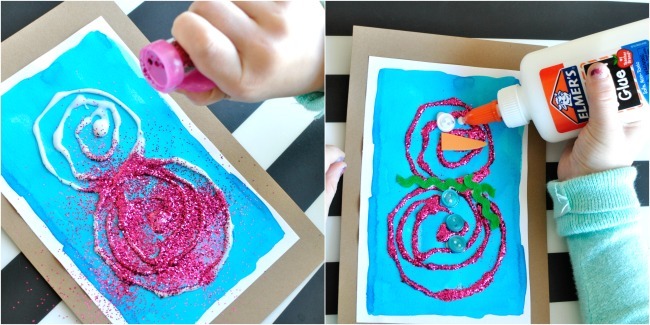 To make this process easier, lightly draw or trace two circles onto the painted paper with a pencil. Then trace the circles with your glue and create a swirly circle of glue on the insides of the circles. 4. 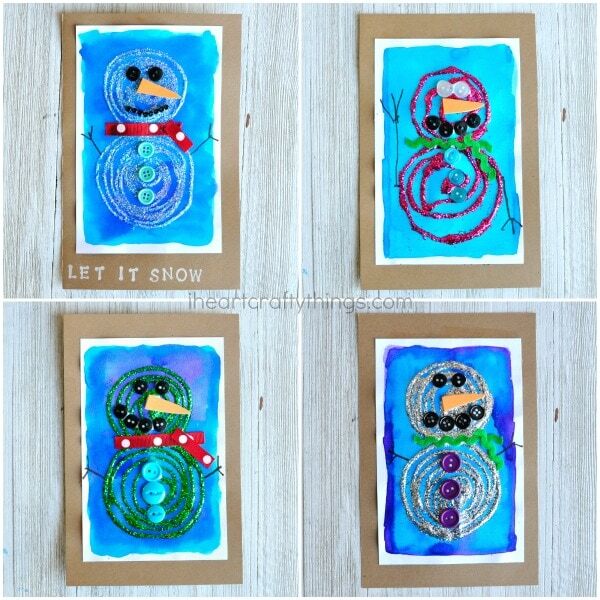 Get out your Elmer’s Glitter Shakers and choose a color for your snowman. 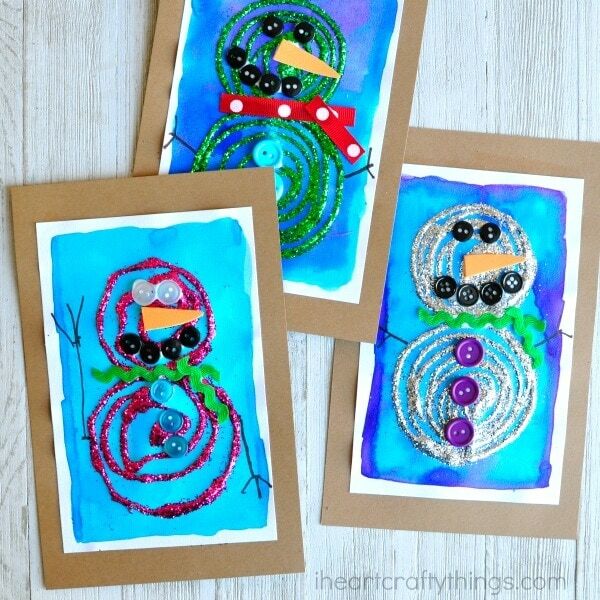 Shake the glitter all over your swirly snowman. Then dump off the excess glitter into the garbage or into a baggy to save for another project. Let the glue and glitter dry completely. 5. 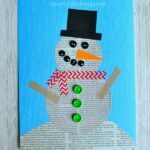 Use your embellishments to decorate your glittery snowman craft. Glue on buttons for eyes, a mouth and down along the snowman body. Make a carrot nose from a craft foam sheet and a scarf made from ribbon. You can also use a brown marker to draw twig arms on your snowman. I love that my Kindergartner chose to make a pink snowman! And those twig arms…the cuteness! It’s so bright and cheerful hanging up on display in our home. 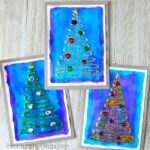 For more fun Christmas and winter craft ideas, visit Elmer’s and sign up for their newsletter. Make sure to check them out on Facebook, Twitter, Instagram and Pinterest too.